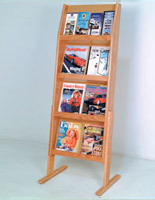 This wood magazine holder is made of genuine oak and wood veneer. 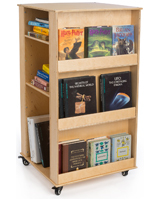 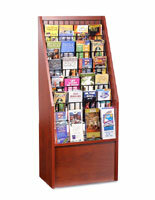 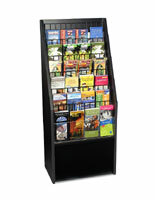 Each display is floor standing with 4 tiers designed for holding reading materials no more than 11.5" tall and 1.25" thick. 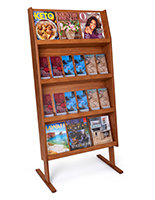 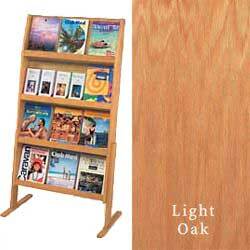 Removable dividers allow you to display 4" wide brochures & 8.5" x 11" literature Place this magazine holder in your business's waiting room or lobby to distribute literature! 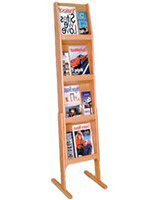 I bought this for displaying comic books, and was pleased to find that it works perfectly! 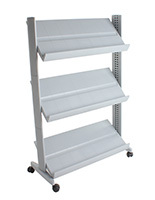 Was a tad difficult to assemble as the screws were stubborn, but solidly built. 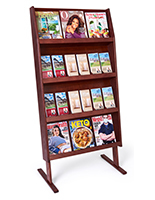 Hi Scott, Thank you for your review.